(Newser) – You can eat it and drink it, so why not inhale it? 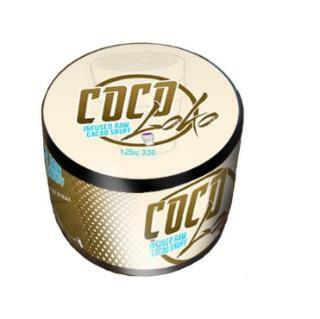 That's the thinking behind Coco Loko, a new "snortable" chocolate powder billed as a legal way to get high, the Washington Post reports. The newfangled nose candy leaves snorters with a "euphoric" feeling "but also motivated to get things done," per founder Nick Anderson. He likens the buzz, which lasts for 30 minutes to an hour, to that of an energy drink. The 29-year-old Anderson, who runs the company Legal Lean, says he got the idea for Coco Loko a few months ago after hearing about a "chocolate-snorting trend" in Europe. Jezebel reports the fad may go back to 2015, when a Belgian chocolate-maker hawked a device that shoots chocolate powder up your nose. "At first, I was like, 'Is this a hoax?,'" Anderson tells the Post. Contains energy drink additives. Maybe they'll add nicotine next. Or how about THC? Oh well, this gives a new definition to the term Brown Nose. Try sprinklin' Pixie Stix in your eyes. The sting is awesome!